The best 8 bit home computer? Re: The best 8 bit home computer? I have the Panasonic FS-A1WX and it doesn't have any midi ports. You can easily add them with a music module though. 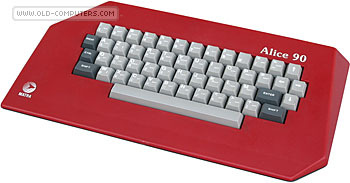 I'd also would love to see what could happen on an MSX2+ if properly used. Ahh yes - it was the MSX R turbo that had the midi in/out on some models. The MSX2+ machine was never used to it's full potential, much like the 6128 PLUS back then. Wasn't the Sam Coupe ham strung by some odd design choices limiting it's power? I assume the first and only batch of Amstrad pluses/GX with were several hundredthousands machines. I think there are 6 or so revisions of the motherboard for the Amstrad Plus. The batches were smaller than you expect. I think the main issue with the Sam Coupe is the shared memory pool. Same as the CPC but it was more severe on the Sam resulting in an effective CPU speed of only 14% faster than the speccy. Also considering that the Sam had to push more pixels than the speccy, that percentage went down even further. 6 MHz Z80 isn't it? Yes but the effective speed is much slower because of the wait states being enforced by the ASIC chip. CPC/PCW effective speed is about 3.2 MHz. So old Speccy which uses upper memory only is 10% faster. ZX Spectrum effective speed is about 2.9 MHz with lower memory in use. CPC/PCW is slightly faster on the average. Worse still, it was designed so that as you switch into screen modes that use less memory, contention goes up and slows the CPU down (the aim being to increase compatibility with Spectrum games) so you can't even use one of the less memory intensive screen modes to make things better. Best Gaming 8-bitter: Commodore 64 - SID, Hardware scrolling and sprites, massive market meant lots of titles, and it came out 2 years before the CPC. Terrible disk interface. Oddly enough it had some decent business/productivity software due to the market size, but the lack of 80 columns and low contrast interfaces was a negative. Also Best Audio because of SID, apart from some boutique systems (Apple IIGS for example). But graphics could be terrible unless skilfully designed, where detail, designing for the hardware, and good use of splash colour could be a nice benefit. Palette very garish - C64 hi-res attribute mode could look a lot nicer. Best Business 8-bitter: Amstrad PCW by a mile - it redefined the marketplace. Apple II does need to be mentioned here, because it was a lot earlier, and Visicalc created the spreadsheet. The Apple II would win if I was thinking from a US perspective. The Atari 8-bitters were strong machines, although the games tended to rarely utilise the hardware to the full, meaning they looked bland. 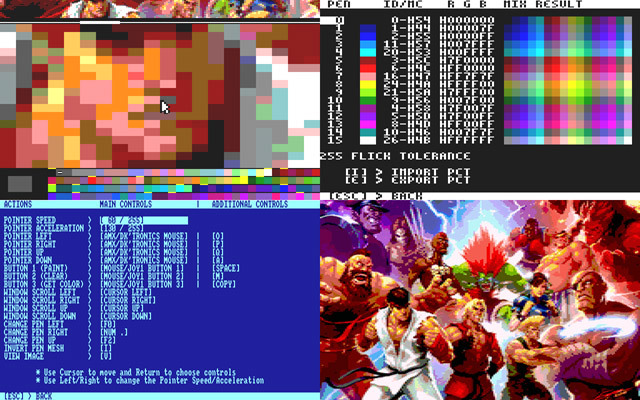 Often 4-colour in MODE 0 aspect ratio with some sprites. They were also costly. Atari 130XE was the pinnacle. MSX1 was a worldwide system, but had many of the Spectrum's issues but with a TI graphics chip that at least had sprites. Coarser scrolling than the CPC! Many solid games due to Japanese involvement, but not a massive hit in the UK. Some systems were quite unique though - some with synths, some with laser discs... maybe I can award it Best International System or something, although C64 is a strong competitor. Best Educational System: BBC Micro by far, but the RM Link 380/480 systems were strong early on too. Costly though. What else sold in the millions? Much as I love the CPC+, it's too niche, and too late, to be a fair addition, and lack of software rules it out. Ditto for the Sam Coupe, Z88, etc. If we're talking Sam Coupe, why not mention the Elan Flan Enterprise? I also agree that 15k units for the GX sounds very low. Maybe it was 15k before Amstrad abandoned it, but I guess all the units they produced didn't end up in a landfill but were instead sold out at rock-bottom prices! IIGS is 16-bit, the other league. Unexpanded Apple ][ couldn't match even CPC6128 for business. May TRS-80 be compared with PCW? I know little about TRS-80. Apple ][ has a lot of software for education. It was also the main computer in SU schools (https://en.wikipedia.org/wiki/Agat_(computer)). So Apple ][ has a kind of a position close the the best but I can't clear define it. Apple ][ is also the most expandable among the other 8-bitters. Can anything else matter when you have such a nice case? And where do you leave the Memotech computers? I hope to see CPC6128 showing pictures better than Commodore +4, with sound better than C64 and with the fast hardware sprites. See Rhinos earlier post about the "new" graphics capabilities of the Amstrad CPC series. I never meant that the chip sound is better on the Amstrad than the C64, just that the combined sound/graphics are better now. * Mode R -> Up to 384x272 pixels and 16 freely selectable colors from a palette of 27. * Mode B0 -> Up to 192x272 pixels and 136 colors from a palette of 378. * Mode B1 -> Up to 384x272 pixels and 307 colors, divided into color 0 + up to 34 palettes of 9 colors per line. You must run the tool on real hardware to see the true visual result. - Added message if upper memory is full by too many ROMs. - Bug fixed in the converter exporting overscan screens. - More upper memory free for greater ROMs compatibility. - Improved controls in Paint tool by adding CONTROL + keys to move the pointer to scroll the zoom window (similar to OCP Art Studio). - Added warning message in the converter when source image exceeds the image size limits managed with the Paint tool. - Additional upper memory free for greater ROMs compatibility. Have you seen the FLI, IFLI, ... modes that the C64 had for years? Because, they are quite similar. C+4 has 121 colors and more advanced FLI modes than C64. Do anyone know how the CPC 464 got it's number? What is its connection with the plus/4? 121 colors is a bit of a lie though, it's actually 8 luminance values for 15 different colour (plus black). Like the 8-bit Atari's, the value of this is somewhat questionable and you get a much worse range of colour choice than, for example, the 128 colours on the Sam Coupe. 121 colors is a bit of a lie though, it's actually 16 luminance values for 15 different colour (plus black). Like the 8-bit Atari's, the value of this is somewhat questionable and you get a much worse range of colour choice than, for example, the 128 colours on the Sam Coupe. Did you miss the link above? Reminds me of MCGA. Thumbs up! Thanks. I may also point to another demo, it should impress everybody. It uses a simple mod. However the sound is not fair, it is external. IMHO it maybe 4-bit digital sound which is easy to use with plus4. The plus/4 was codenamed 264 under production, Commodore had another machine under development as well, the 364. Amstrad wanted to be better and the name 464 was born.